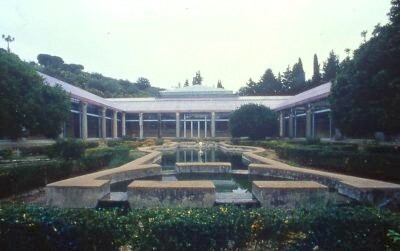 Villa Romana del Casale in Sicily was built between the late 3rd century BC and the early 4th century AD undoubtely by some important figure, perhaps a member of the Imperial family itself. The villa, lying in the countryside, surrounded by large estates, was only occupied occasionally until the 12th century. Ravaged by a fire and then buried in mud following floods around 1611, it was only partially re-discovered at the end of the 19th century.